Set the tone right from the start that tells buyers you are serious about selling your house. The price you set impacts the length of time your home is on the market and how much return you see on your investment. Here are some things to consider when pricing your house for sale. Choose a real estate agent that you can trust to handle your transaction seriously. 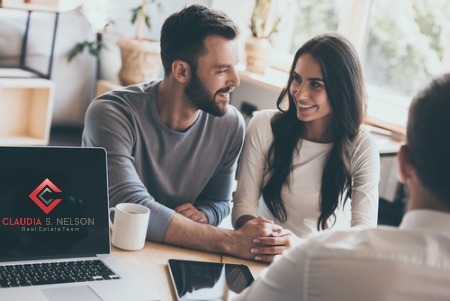 An experienced real estate agent knows the local area and uses the tools at their fingertips to help you set an asking price that appeals to buyers. The agent will provide you with a complete report that shows what buyers are willing to pay for a home like yours. When multiple offers hit the table, your real estate agent’s strong negotiation skills save you time and frustration. A good place to begin your research on home value is an online home valuation calculator. This calculator requires a bit of information about your property and provides a ballpark estimate of your home’s value based on those details. Check out previous tax statement to see what value was placed on your home to determine the taxes you paid. 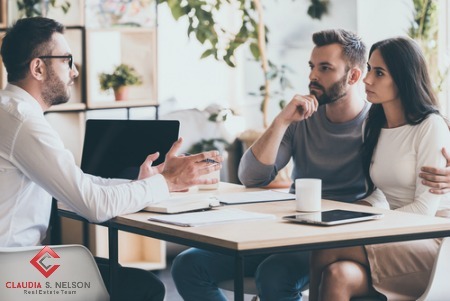 Of course, your real estate agent takes all the information you provide and takes other factors into account before offering you the best advice on pricing. They understand that many things impact the value of your property, including local schools and neighborhood amenities. Make a small investment and have an independent appraiser visit your property to determine the home’s value from their standpoint. The mortgage loan lender orders an appraisal when an offer is accepted, but this appraisal you order shows buyers that you are serious about setting the correct price from the start. The appraiser sheds light on areas that need your attention for repair or renovation. Once you have this information, you can choose to act on it or move forward with pricing based on those finds. It’s hard to come up with an asking price that doesn’t include all the memories and experiences attached to your home. Your home is unique to you and has special attachment points. Unfortunately, those important memories don’t add to the value of the home. Buyers walk into your home with no knowledge of your experiencing. They are interested in building their scrapbook of memories on a clean slate. For this reason, they can’t share your feelings. Detach from the meaningfulness of the property and look at pricing your home with an objective eye. Look to your real estate agent for support in this area. Explore your neighborhood and surrounding areas to see which homes are for sale. Take note of those that are like your home. Compare differences and amenities when setting the asking price for your property. What a home offers on paper can appear different in person. Give yourself a significant advantage by knowing how your home stacks up from a buyer’s viewpoint. Your real estate agent is the best source of information about the local community and real estate topics. Give Claudia Nelson a call today at 571-446-0002 to learn more about local areas, discuss selling a house, or tour available homes for sale.